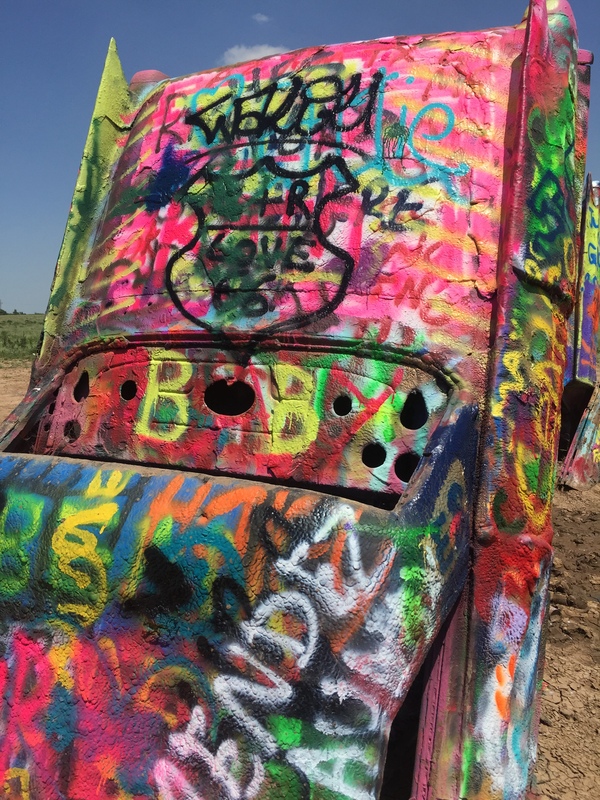 Cadillac Ranch may just be the quirkiest tourist attraction in the Lone Star State. 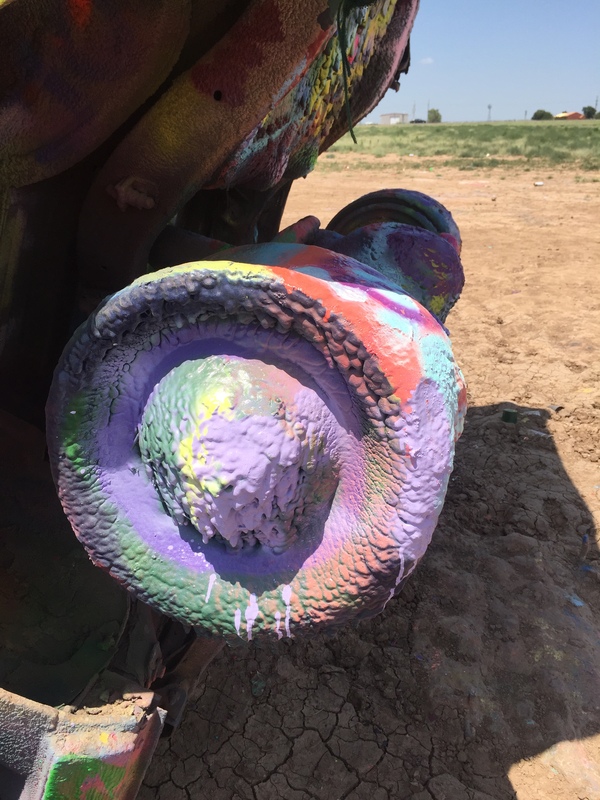 The old folks up around Amarillo know it as one of the world’s first roadside sculptures — ten Cadillacs buried nose down in a field along old Route 66 west of town. This art project was the brainchild of the late Stanley Marsh 3, an eccentric Texas millionaire. Marsh used the number 3 after his name because the felt that the Roman numeral III was too pretentious. Imagine that! In 1973, Marsh invited a group of artists from California to help him create an unusual work of art, one that would baffle the locals. The hippie artist collective, known as the Ant Farm, was all too happy to help Marsh realize his dream. These guys came up with the idea of burying old Cadillacs nose down in a wheat field owned by Marsh. The Texas millionaire approved the plan and work started in 1974. The California artists initially acquired eleven Cadillacs ranging in model year from 1948 to 1963. Most of the cars were purchased from junk yards at a cost of about a couple-hundred bucks each. Only ten of these cars, however, were used. Ten holes were dug and, one by one, each Cadillac was nudged nose first into its partially buried resting place. The cars were buried in sequence from the oldest to the newest — all facing west and supposedly at the same angle as the Great Pyramid of Giza. As a result, a legend was born (or perhaps buried). 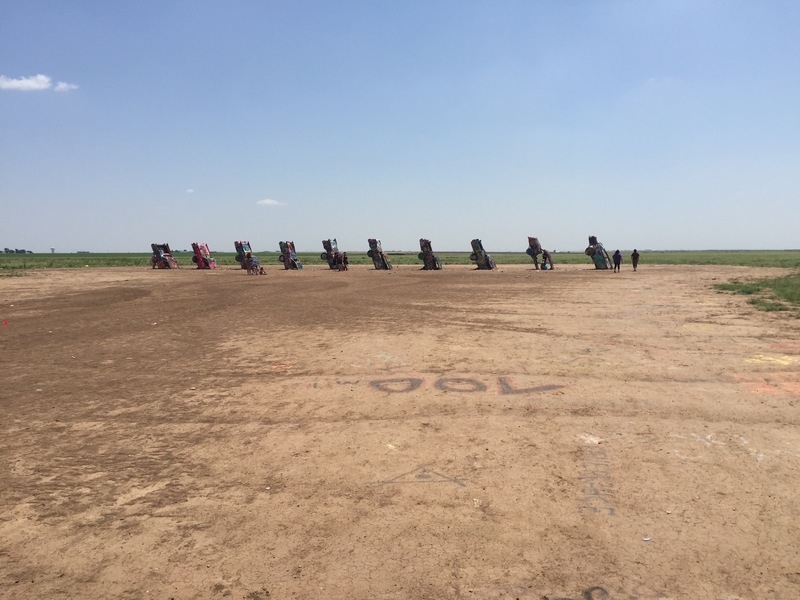 The site immediately attracted the attention of folks traveling down the road and eventually came to be known as Cadillac Ranch. In 1997, the cars were exhumed and moved about two miles to the West because of the encroaching city. This roadside oddity continues to draw tourists and the curious. There is parking along the road and visitors are allowed to bring their own spray paint to add their personal tags to the sculptural oddity. Today, the cars are covered with thick layers of spray paint and ever-changing graffiti, possibly the only thing holding the old cars together. I have visited the Great Pyramid of Giza. And while it’s impressive, it is certainly not as colorful as the old Cadillacs with their tails in the air. Interesting that ten cars buried nose first in a wheat field in Texas likely draw as many or more visitors than the pyramids we all learned about in school. We are definitely drawn to the historical and the comical. 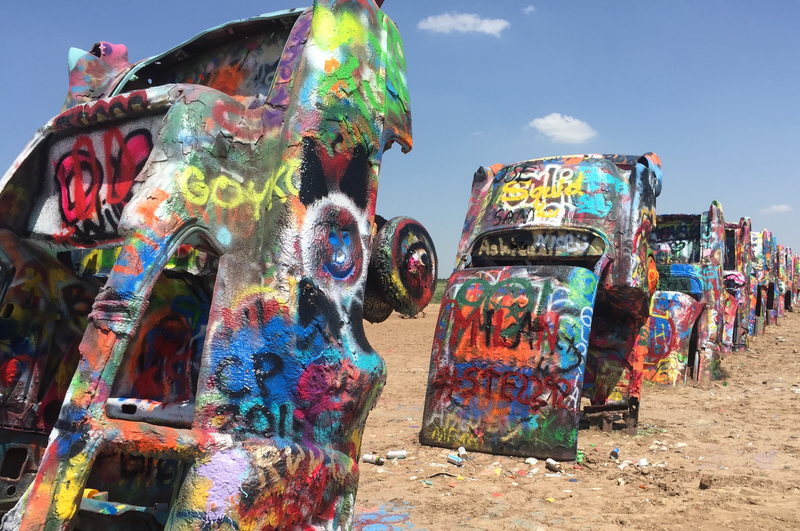 And although the quirky roadside attraction will not outlast the pyramids, kudos to Marsh, the patron saint of Cadillac Ranch, for turning an otherwise empty field in the Lone Star State into something to talk about. 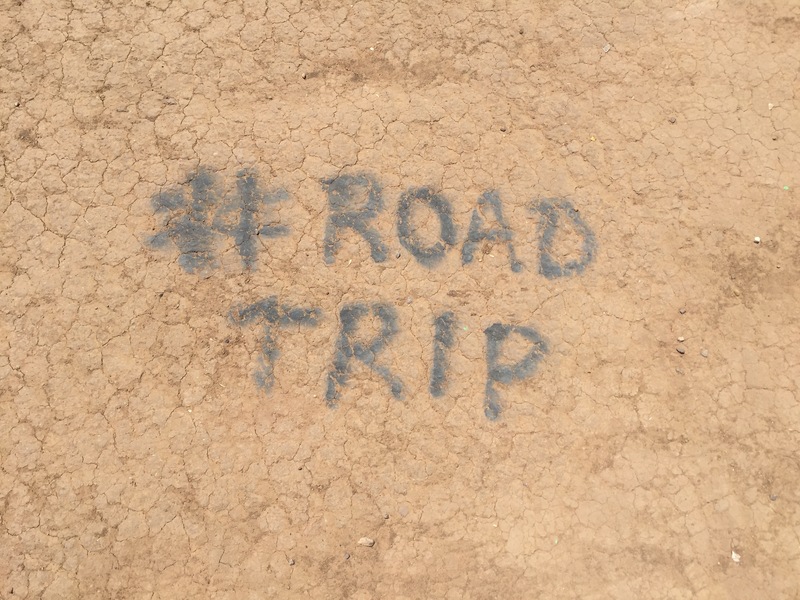 This entry was posted in Road Trips and tagged Amarillo, Cadillac Ranch. Bookmark the permalink.